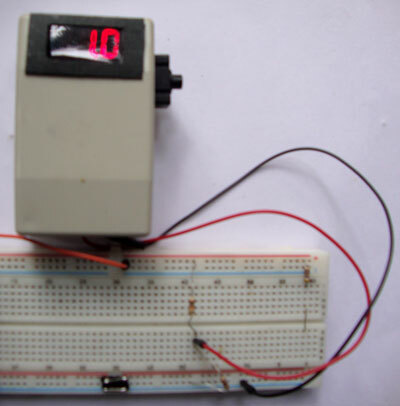 First understand the Series and Parallel resistors. 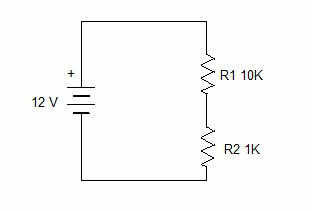 Series resistors means two or more resistors connected in series. This mainly appears as potential dividers in comparators, transistor amplifiers, oscillators etc. 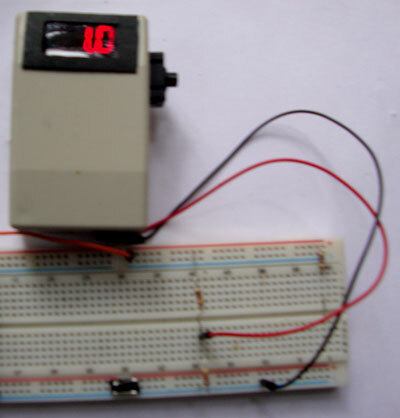 Parallel resistors mean two or more resistors connected parallel between the positive and negative rails. Where I is the current in Amperes, V is the input voltage and R is the resistance in Ohms. Now use basic algebra to change Ohms law to solve for voltage instead of Current. We know Current and Resistance. 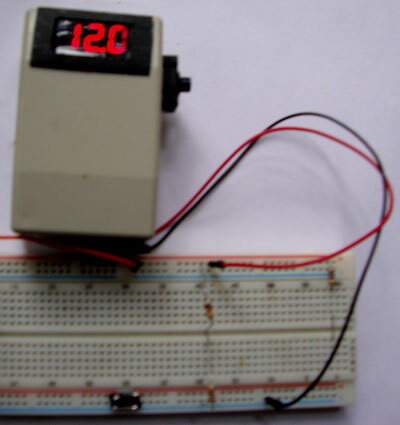 That means, 10 K resistor allows 1,09091 volts and 1K resistor allows 10.9091 volts to pass. See below images. The theory above explained exactly matches with the real situation. See image. Here two resistors ( 10K and 1 K ) are connected in parallel across a 12 volt power supply. 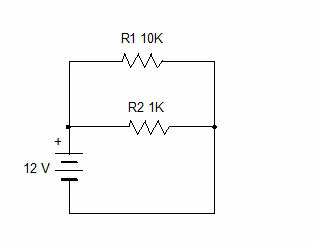 The total voltage through the resistor remains same as the entire circuit irrespective of the value of the resistors in parallel. Total current will be the sum total of the current running through each parallel path. Here the resistors are 10,000 Ohms (10K) and 1000 Ohms (1K) and input voltage is 12 volts.